bool(false) What is the Rarest WW II Canadian Battle Dress? 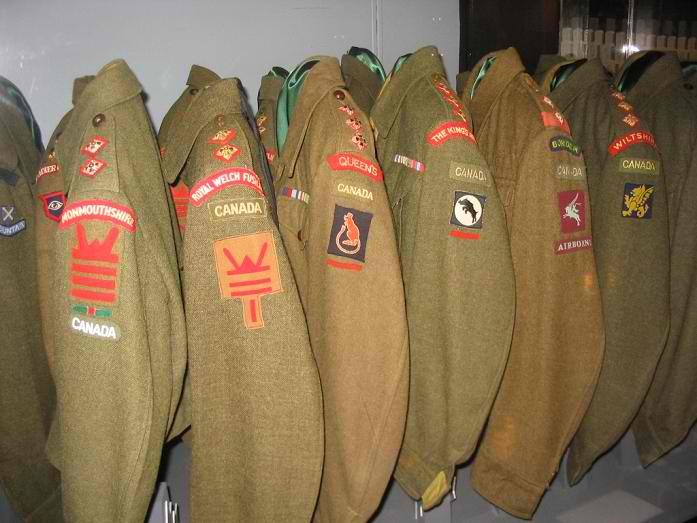 What is the Rarest WW II Canadian Battle Dress? 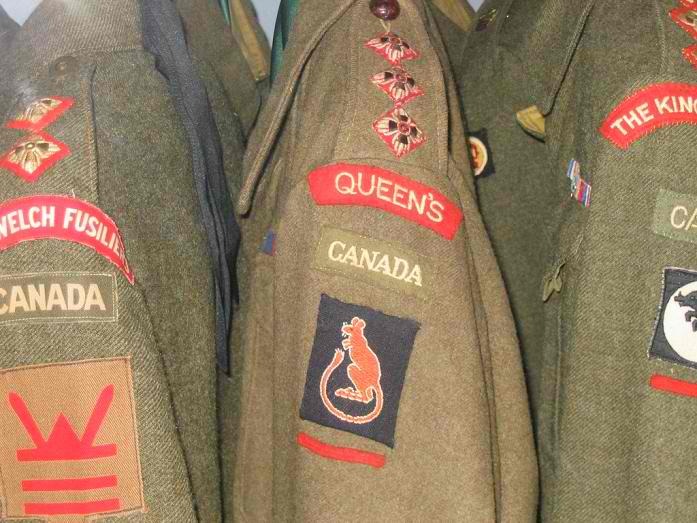 What is the rarest WW II Canadian Battle Dress? Perhaps this isn't an easy question to answer. I would like to hear what other forum members think. Re: What is the Rarest WW II Canadian Battle Dress? For overseas units, I would go with PEILH. I have seen many 1 CACR tunics, and their WE was significantly larger than the one squadron WE of the PEILH. If you are talking home defence units, a whole new range of units comes into play. I have never seen an Aerodrome Defence Coy patched tunic, but that is only one of several possibilities. 15 HVY AA BTY, or 30 AA Bty? 1st Special Service Force would be up there...only a handful known and a 10 on the desirability scale. Plus, the unit was disbanded, and the Canadian personnel re-assigned. So, the tunic would have to be one for a fellow who came home instead of going into the reinforcement stream. I will still vote with the PEILH. Being a company/squadron in strenght, there were very few to start with, and I have only ever seen one on the market. Bill wrote: Plus, the unit was disbanded, and the Canadian personnel re-assigned. So, the tunic would have to be one for a fellow who came home instead of going into the reinforcement stream. I think I have to go with Bill...I've only ever seen one PEILH. There is no one answer to this question, and our responses are based on what we have seen and heard of. When I posted this question Bill, I never gave thought to the Home Defense units. Based on their history, a PEILH BD would have to be listed as 'rare'. And that is the rub Adam. Most collectors only think of the active service force. 1 CACR had a substantial war establishment, and the fellows from the unit wore their tunic home in 1945. But the Aerodrome Defence Coys were only in existence for a short period of time before they were re-badged as Regina Rifles or Regt de Chateauguay. I have never seen a tunic badged to the Aerodrome Def. Coys. As you say, there is more than one answer to the question. Depends on what parameters are considered. I would add another one to the list. Vic Taboika is auctioning off a considerable portion of his accumulation. A couple of months ago he had Lt-Col.'s tunic patched to the 3rd Bn Irish Fusiliers of Canada. Again, IIRC, it didn't sell. A one of a kind, but no interest in the ebay collecting community. Pity. Yes, there is a much stronger interest in active service units. With that said, there is a surprising amount of interest in Home Guard units by British collectors, but little interest in Home Defense units by Canadian collectors. Vic Taboika has auctioned off some very interesting BD's and I watch his auctions closely. Bill, where can I learn more about the Aerodrome Defence Coys? Bill, you made a good point. There is a HUGE difference between rarity and desirability....and the latter is what drives price/value. Adam, the cream of Vic's collection never hit the open market. He had the only PEILH I've seen in 40 years of collecting. Yes Roy, Vic Taboika had an impressive WW II collection. 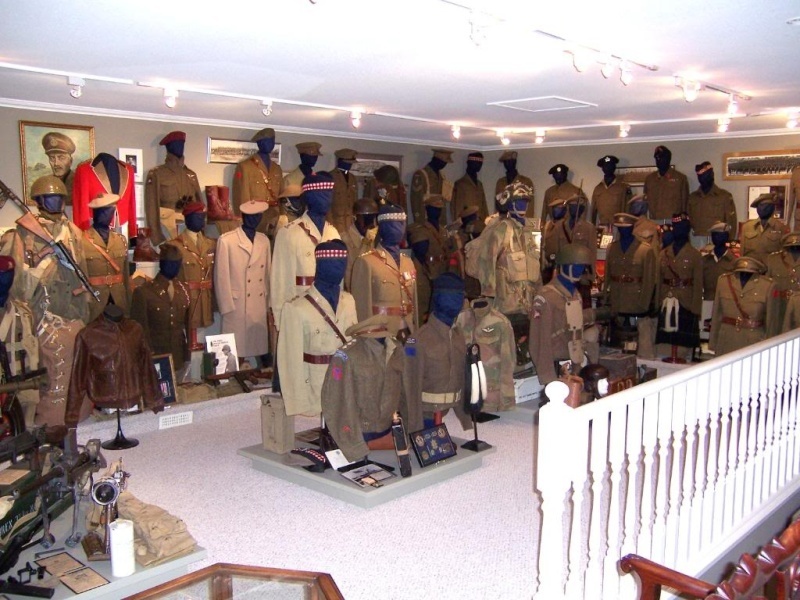 Battalion Colours wrote: Yes Roy, Vic Taboika had an impressive WW II collection. Impressive collection! I have his book on his CEF collection, but until he started auctioning a bunch of WW2 items in the past few months, I had no idea of how extensive his WW2 collection was. I have been lucky enough to acquire a number of fantastic WW2 uniform items from Mr. Taboika in the past year, and all for very reasonable prices. Would love to meet him some day and have an opportunity to have see his collection in person! Some observations. Second World War tunics have been the subject of "mythologizing" of recent. 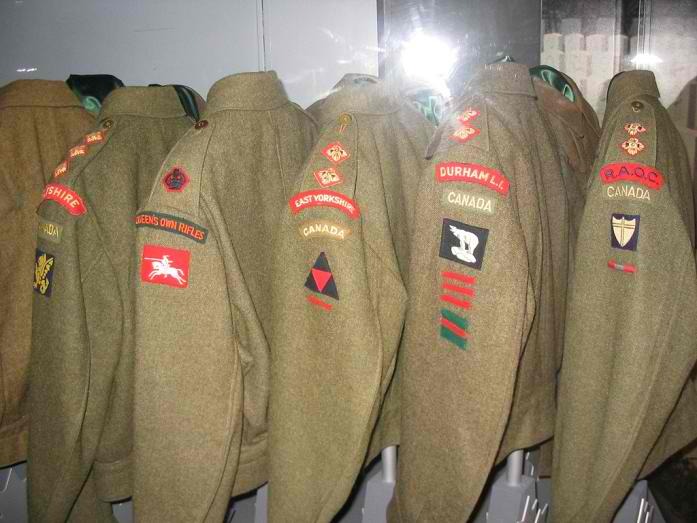 Ebay and auction listings and some vendors repeatedly say "D-Day" tunic, or "front line tunic", or "salty" (implying wear at the front) etc. This is basically bunk. Front line tunics were withdrawn and destroyed or ragged. They were dirty, damaged, or contaminated. For health reasons, a lesson learned from the FWW, the tunics were frequently replaced. So the tunics that we see are (with the rare exception) the tunics the soldiers came home with. And these were relatively newly issued. The date stamp was/is somewhat irrelevant. A 1942 tunic may have been in stores for months, maybe even longer before being issued. Or the soldier may have taken his 1940 issue BD and have had it dressed up as his best "parade" BD. But, soldiers had two tunics, one his best BD, and a working BD. Best BD were reserved for special parades and leave. They were stored in the soldier's kit bag when the unit went into front line service. It seems the working BD have become the "at the Front" tunics. Because they show some wear and tear, they "must have been in the field". Well, yes, BUT, even after the war ended, soldiers still trained, had fatigue duties, work parties etc, etc. These tunics would show everyday use. That doesn't mean fighting service. Prices have spiralled upwards very quickly, but SWW Canadian tunics should be carefully analyzed before laying out any money. These tunics are really only the sum of the parts, yet some collectors have been pushing these tunics to amazing prices. On top of this, a spate of re-constructed tunics have made their way on the market. Some are obviously reconstructions, others are very difficult to spot. If one is to put out a lot of money on a SWW tunic, it would be prudent to have an iron clad provenance. For example, I have a mint 1944 dated battle dress blouse in my closet, and I have a many printed and embroidered titles and formation patches in my traders. If I wanted I could easily put together an "authentically" patched tunic to any number of Canadian SWW units. So, why is it that a Linc & Winks 4 CAD tunic is worth $400, while the component parts are only worth about $100??? An additional consideration. There was a large home defence force which consisted of regiments which only served in Canada, and also 3rd Bns of regiments which had a battalion serving overseas. 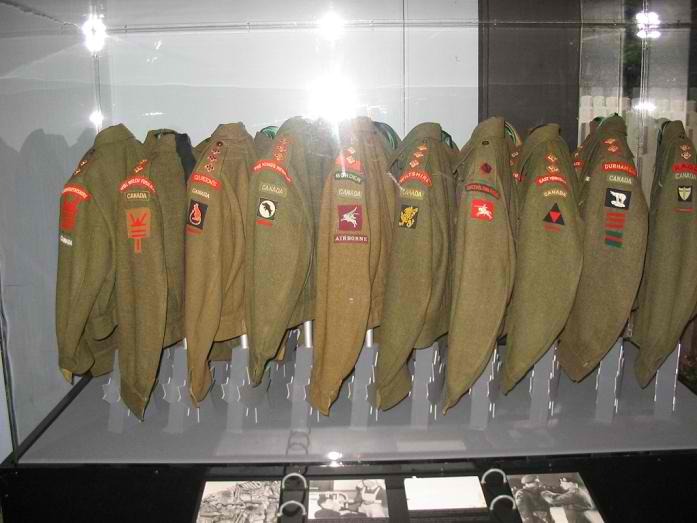 The home defence bn's were entitled to wear coloured embroidered titles. It is possible to find Black Watch, Queen's Own Rifles, Regina Rifles and other regiments, with patched tunics that represented home defence service. They all had battalions that only served in Canada. These tunics may not have had formation patches. (There is currently a QOR SWW era tunic on ebay. No formation patches. So, is it a 3 CID tunic, or a home defence tunic?) Regimental dress was the same, either in Canada or overseas. Sorry for the rant, but it seems a lot of collecting is not based on research or understanding the artifacts that are made available. Greed, fraud and mis-representation have become far too common. Back to rarity. Another contender for the home forces scare tunics would be any tunic patched to either No 1 or No 2 Canadian Army Course. No 1 would be far scarcer, as it was only about 1/10th the enrolment of No 2. Bill wrote: Some observations. Second World War tunics have been the subject of "mythologizing" of recent. Ebay and auction listings and some vendors repeatedly say "D-Day" tunic, or "front line tunic", or "salty" (implying wear at the front) etc. This is basically bunk. Front line tunics were withdrawn and destroyed or ragged. They were dirty, damaged, or contaminated. For health reasons, a lesson learned from the FWW, the tunics were frequently replaced. So the tunics that we see are (with the rare exception) the tunics the soldiers came home with. And these were relatively newly issued. The date stamp was/is somewhat irrelevant. A 1942 tunic may have been in stores for months, maybe even longer before being issued. Or the soldier may have taken his 1940 issue BD and have had it dressed up as his best "parade" BD. But, soldiers had two tunics, one his best BD, and a working BD. Best BD were reserved for special parades and leave. They were stored in the soldier's kit bag when the unit went into front line service. It seems the working BD have become the "at the Front" tunics. Because they show some wear and tear, they "must have been in the field". Well, yes, BUT, even after the war ended, soldiers still trained, had fatigue duties, work parties etc, etc. These tunics would show everyday use. That doesn't mean fighting service. The CWM has quite a collection of CANLAON BDs. How many CANLOAN BDs are known to be in private collections? Hi Adam, I have no idea about an answer to your question, but your post brings another question to mind. Does the CWM have a complete collection of Second World War Canadian army BD? The Canloan are well represented, but are other units? What would be considered a complete collection of Canadian WWII BD? Ed, I would think an original bd for each of the overseas regiments, (infantry and artillery), plus one from each corps/formation. Eg RCOC First Cdn Army, RCAMC, First Cdn Army. Probably an impossible goal, and fraught with problems over definitions of what is a "different unit" and what constitutes "complete". Time period is another consideration. Patched tunics to 2 CID pre September 1942 would be exceedingly rare, if they even exist. And this doesn't even touch on the home defence forces. Perhaps I should have phrased it differently. There is an extensive collection of Canloan tunics. Does the CWM have a representative and comprehensive collection of the Canadian army active service uniforms as well? Are we talking Army alone or RCAF and RCN BD? 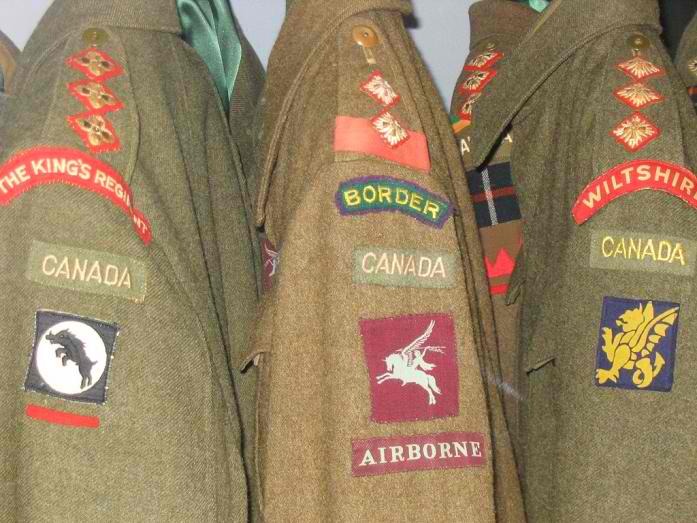 I am going to go out on a limb and speculate that surviving fully badged BD are from those units, either in Canada or overseas which were in existance in 1945 and reflect the badging practices at that time. I would be very surprised if any BD from the Dieppe Raid have survived or were saved. The CWM mandate should (does?) include BD for all services. I was trying to think the circumstances/situation that would result in a Dieppe era BD surviving. The only thing I can come up with is a fellow that was de-mobilized/discharged in 1942 up to or immediately after Dieppe, and came back to Canada.